The workshop involves making paper that incorporates milkweed seeds. The paper pulp is created from CHI Conference food waste gathered in the first hours of the conference, along with paper-based waste gathered from 23 venues in Montreal (airport code: YUL). These venues were selected by artists Natalie Doonan, David Szanto and Pamela Tudge as Montreal-based illustrations of the Digital Food Cards elaborated for the Parlor of Food Futures (organized by Markéta Dolejšová, Denisa Kera, Yair Reshef and Nick Lauer at Emerge 2017: A Festival of Futures). Workshop participants each took home a piece of this handmade paper. 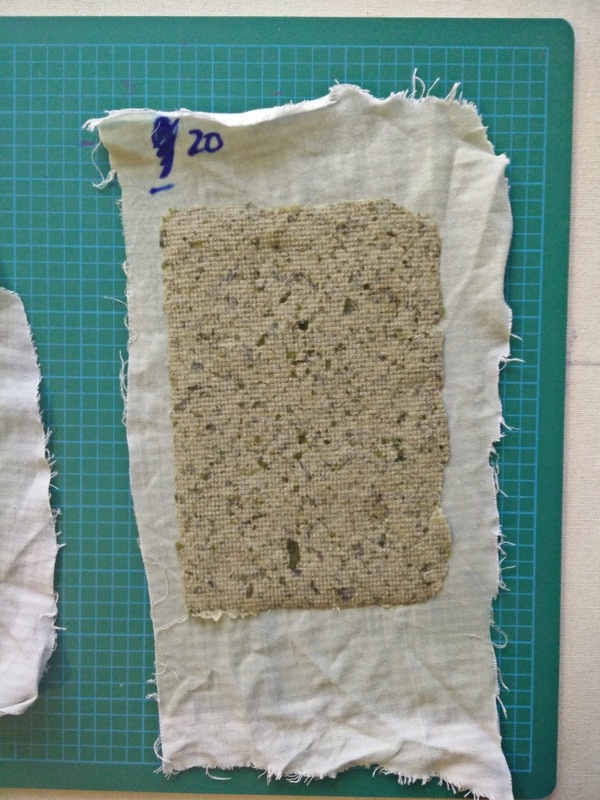 After being stored in the refrigerator for a month, the seedy paper will be ready to be planted in the earth. —the location of planting (in May 2018 or thereafter). Through online mapping, a pattern of human-food migration is constructed, a residue of the potential for human collaboration with other species, both edible and not.